Availability: Only 1 Left Available! This is the waterfowling story of early modern man long since dead, as he followed migrating waterfowl from the Old World to the New World, where his descendants witnessed the arrival of the White man. 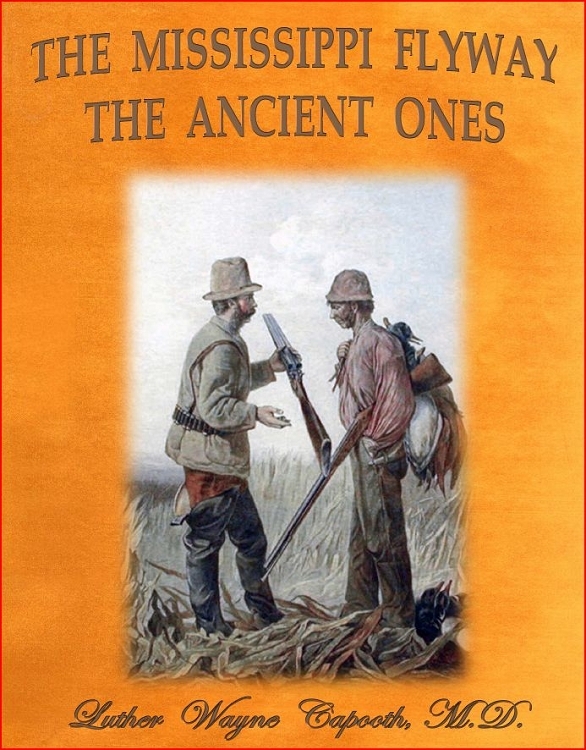 So listen to the words of early modern man as The Mississippi Flyway: The Ancient Ones offers an unforgettable account of the birth and technological advancement of waterfowling in all its dynamics and glory—long before firearms were invented. It begins some 40,000 years ago with early modern man and continues to the Paleo-Indians, to the Mound Builders, to the Native Americans, while also looking back at the old timers from the arrival of the first White man in the New World to the first half of the twentieth century. It is the story of a time that can never again repeat itself—of an era of waterfowl abundance in the Mississippi Flyway that has gone forever. If you are young, the scenes depicted in The Mississippi Flyway; The Ancient Ones will fire your blood to strive for the great trophies in the sky; if you are old it will thrill you with memories of a past which shall seem to you brighter and better than anything the later years can yield. After receiving numerous requests for my out-of-print Waterfowling America set of books, I decided to update the history of the waterfowling states of the Mississippi Flyway and publish The Mississippi Flyway: The Ancient Ones. 600-plus pages of waterfowling history of the Mississippi Flyway, with numerous vintage photographs, maps and illustrations. Every state is represented except Alabama and Kentucky. A limited edition of 1,250 copies. Birthday gift for my duck hunting husband. He loves it!